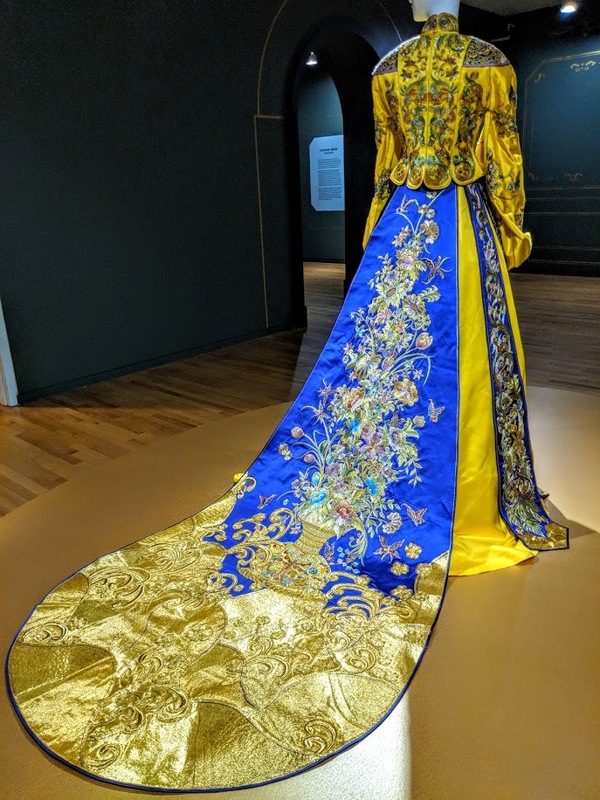 Guo Pei Couture Beyond, Vancouver Arts Gallery’s signature exhibit (until Jan. 20, 2019), offers artists, clothiers, storytellers, photographers and day-trippers an unforgettable art, fabric and fashion experience. 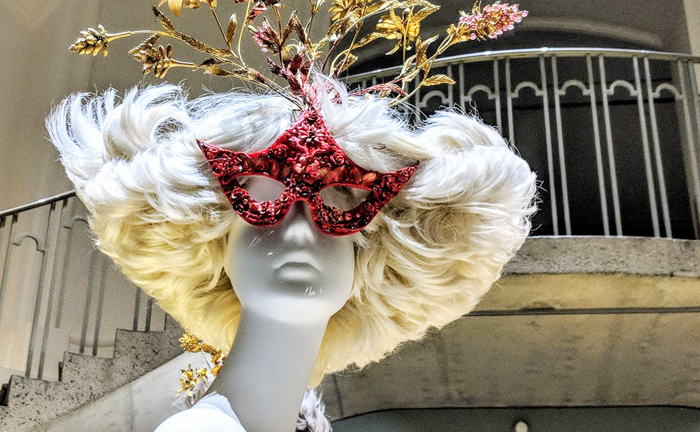 This talented Chinese designer challenges viewers to explore the hidden secrets and design dramas. Collections like Samsara (2006), An Amazing Journey in a Childhood Dream, (2008), or 1002 Nights (2010) (to name just a few) will hold you hostage while you analyze, investigate and admire the workmanship. Each gallery depicts a phase of the designer’s career. Two aspects in particular stood out for me. Manchu history ((presiding over the Qing dynasty from 1644 to 1912), heavily influence Guo Pei’s shoe collections. You recognize the relationship to the Manchu Flower Pot, or horse hoof, platform shoes. Look for motivating traditional Chinese motifs, such as the lotus, mountains or cloud and thunder. 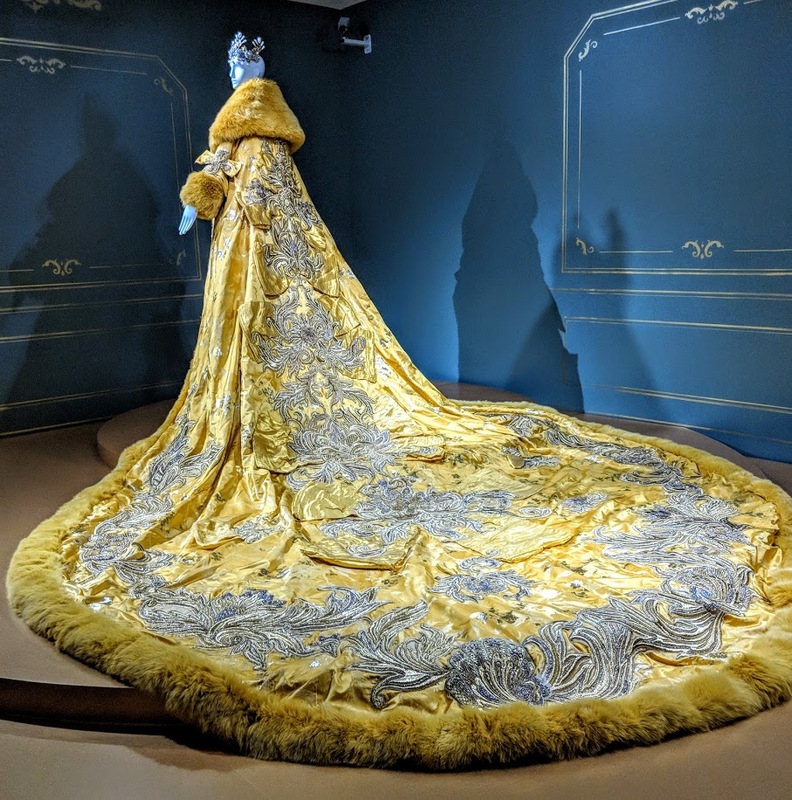 Guo Pei, born in 1967, was a child of the coarse cotton Mao suit Cultural Revolution. But, her grandmother shares memories of extravagant Qing Empire fashions featuring delicately embroidered butterflies and peonies – but not the five-toed dragon exclusively reserved for the Emperor’s robes. Each galley offers insight into whatever story, or place, caught the artist’s imagination at the time. An umbrella dress, intricate embroidery cascading down the brilliantly coloured train of a cloak fit for a potentate, and look closely for the wide-eyed animal faces etched in gold thread peeking out from the hip of a 50’s inspired day dress. Vancouver Art Gallery is located at 750 Hornby St., Vancouver.